Currently, the only setting you can change in the General Section of the Appsembler Management Console is the name of your site. 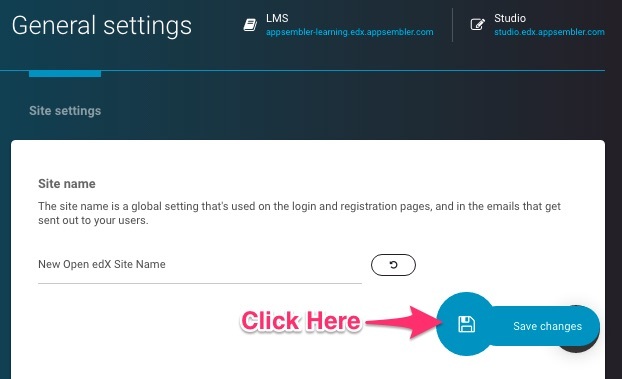 The site name is what shows up on the tab of the LMS, ween by learners and course instructors alike. 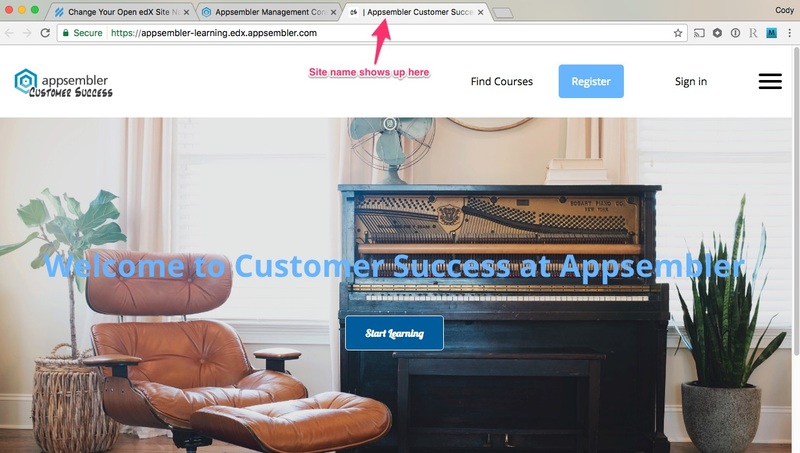 In the example above, the site name is "Appsembler Customer Success." Let's walk through the steps to change it to something different. The button with the counter-clockwise arrow is used for reverting the site name back to some default, if your sites have a default site name they can use. 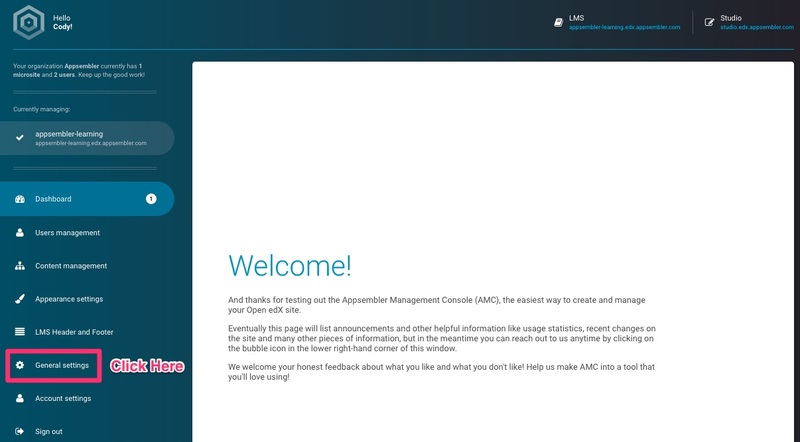 When you refresh the LMS, you can now see that the site name has changed.